The below Q&A provides clarification on some of the points raised around landing cards – notably what they are, what the consultation will review and the impact of withdrawing them for non-EEA passengers. What are landing cards – who has to fill them in and why? Currently, all non-EU nationals are required to complete a landing card each time they enter the UK. Border Force officers use the cards to record what a passenger has said on arrival and provide a copy of the stamp that has been entered into his/her passport setting out reasons and conditions of entry. How many travellers/journeys will this affect each year? The latest published data for 2016 show that there were 16.2 million journeys made by non-European nationals across the UK border in 2016. Is the decision to scrap landing cards being rushed through? It is not. We are at the beginning of a formal process of consultation on the removal of landing cards. All views will be considered as part of this process in determining next steps. Are we compromising on border security? No. All passengers arriving from outside the EU will continue to be checked against the variety of police, security and immigration watch lists which are used to verify the identity and confirm the status of every passenger arriving at UK airports. Border Force has also increased the use of Advance Passenger Information, with systems in place to receive data on 100% of scheduled flights for all international journeys to and from the UK. Will the security and immigration services be denied access to vital information? The Home Office has already looked at the use of landing cards by both its own operational commands and its partner agencies. Whilst there has in the past been occasional use of the cards by security agencies and Immigration Enforcement in the course of their investigations, these organisations are satisfied that other means can now be used to secure the information they require. Landing cards are these days used largely for statistical purposes. Only a small minority of the cards are retained once the statistical data has been collected. It would be misleading to suggest that all information provided by passengers can be used for later investigations, particularly as it is not always possible to verify all the information provided on the paper landing card. The development of digital technology means that data provided through API can be checked with a much wider range of digital data in order to provide far more robust and usable information for any necessary further investigations. Has research been conducted into how often cards are used for investigations? Is the Home Office giving up counting the actual number of non-EU travellers admitted to the UK? No. The Home Office monitors non-European travellers admitted to the UK using Advance Passenger Information and also has a wealth of information from visa data. The Independent Passenger Survey data provides alternative estimates of visitors to the UK. Will you be replacing landing cards with an ESTA or any other form of travel document? The Home Office continues to explore different options to improve the security and efficiency of our visa and border system. What is the new digital information being planned on non- EU nationals entering the UK by visa category? 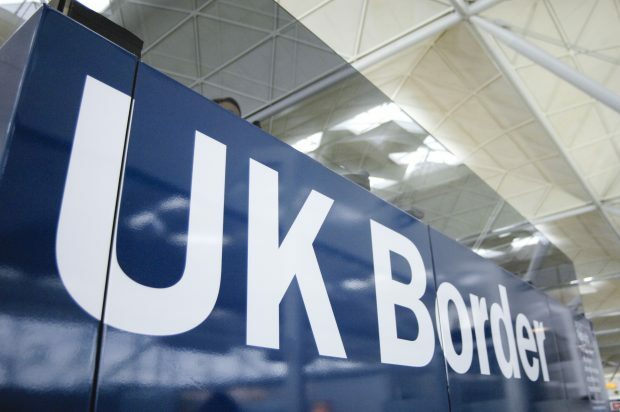 Once implemented, the Home Office’s new digital solutions will help enhance our border security by providing border agencies with faster access to data and information drawn from a wider range of sources, whilst new, enhanced analytical capabilities will enable checks on passengers and freight seeking to cross the border to be undertaken against a broader range of measures and to a higher degree of accuracy than now. The new digital information, will provide an electronic record of every passenger arrival, verified through the checks made by the airline carriers, rather than sampled counts based on the self-completed landing cards. Why haven’t you waited until the new digital information system is in place? Landing cards provide information about passengers flows and that information is now largely available from other sources. However, we are consulting statistics users according to the recommended practice for national statistics in order to test whether there are any significant uses of the data which we have not so far identified. The Home Office already uses digital systems including the use of Advance Passenger Information to carry out the relevant security checks. The consultation on landing cards can be found here: https://www.gov.uk/government/consultations/home-offices-immigration-statistics-arrivals-data. The consultation closes on 2 September.